Autumn is a fun time. 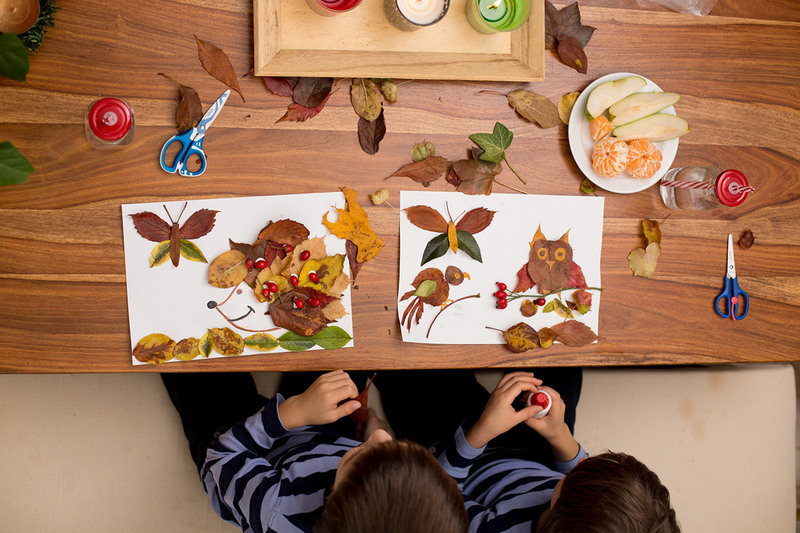 There are heaps of activities that can be designed around an exciting autumn scene. While many evergreen Australian trees and bushes keep their leaves, there is still plenty of colour on display and heaps of activities that kids will love. The leaves change hue and the air gets a little chillier. Pumpkins grow large enough to carve up into fun shapes and eat. Leaves crunch under your feet. Teaching children about what the seasons are, the change of seasons, and what it means to them can become part of a fun teaching plan. Here are some ideas that are sure to delight! Why not make a collage? Lots of animals like birds, foxes, reindeer, dogs, lions and more can be made with autumn leaves. Let the kids’ imagination runs wild! By adding drawing and colouring to your autumn lesson plans you can educate the children on the colours of the season. Maybe even bring in some fallen tree branches and leaves. The colours of autumn are also a perfect opportunity to talk about evergreen trees, different types of trees and flowers, how plants grow well in different climates and how seasons changes are relevant to where they live. Why Not Make a Leaf Mask? Jump into fall with an autumn mask made from red or bright coloured leaves. Children will love creating and wearing these. Jump up and down in the leaves and feel them crunch under your shoes. It is a great way for everyone to get some exercise and fresh air! Maybe do some apple picking at a local orchard. Create a leaf maze and let the children find their way out. Any change can be exciting for children and autumn is no exception. The daylight hours change, and the time even changes in many states. Taking note of some of these changes will educate the children without overwhelming them. Falling and blooming leaves give everyone a great opportunity to go on a nature excursion to the botanical gardens or local park. Encourage children to find and keep bits of natures that appeal to them in shape and colour. The kids can have fun tracking the changes of the trees. It is a great time to research what is happening in farms and in orchards too, whether or not you are in a rural area. Make a necklace out of leaves using twine. You can teach the kids how the changing of seasons mark time. It is also a good time to talk about hibernation and the animals that do it. An excursion to the zoo or wildlife centre is always something that the kids enjoy and remember. Let the children explore more about weather and nature shifts at home too and do a show and tell about what they have learned. It may be a new flower, a beautiful leaf or the fact that the sun comes up a little later. There is St Patricks Day in Autumn, and Easter bunny comes in Autumn too! There are also other public holidays such as Anzac Day and Labour Day. The KindyHub App allows you to record your lessons and the children enjoying and participating in them. Parents, teachers and supervisors can all have input, and you can keep your ideas and lessons in the App so that you can implement them next year, or change and improve them. They can be used by managers, staff and families. For more information about how KindyHub can be of benefit to your centre, contact us.